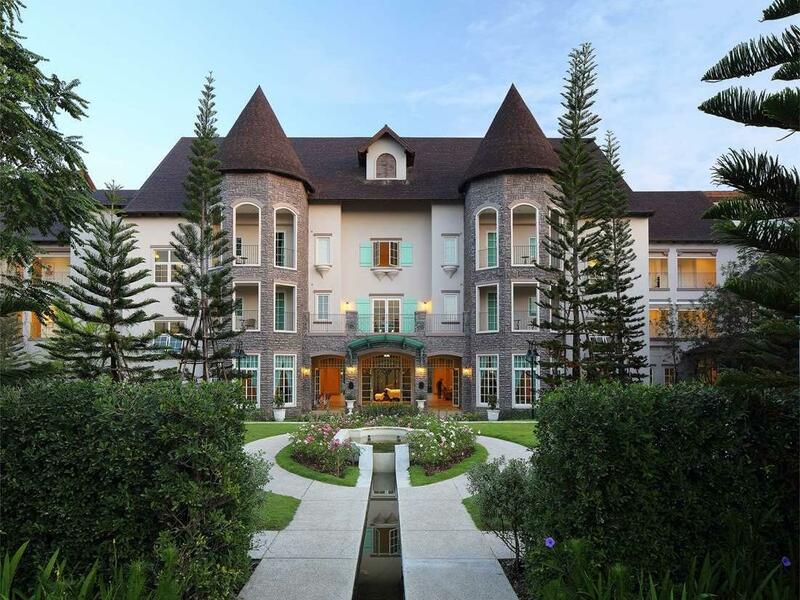 Escape to a four-star luxury resort that merges the inspiring spirit and beauty of Khao Yai National Park with the elegance, ambience and warmth of a French country manor. 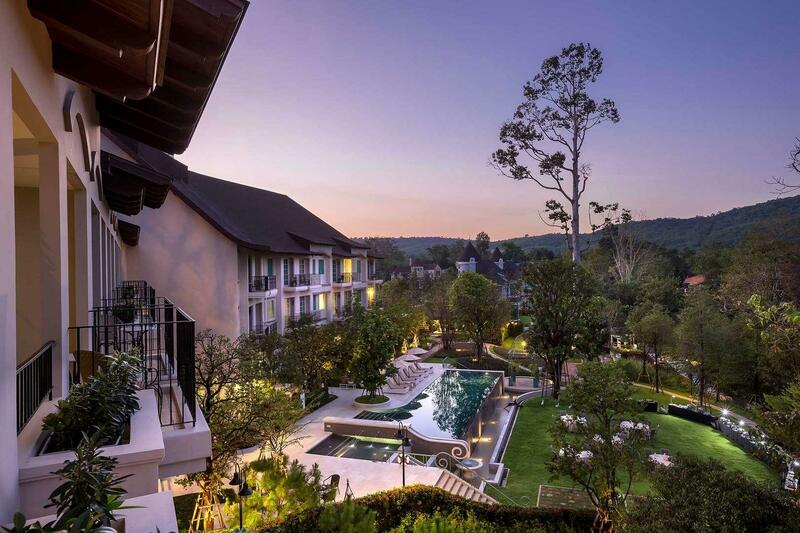 Tucked among the majestic mountains and timberlands of the Sankamphaeng Mountain Range, the all-new U Khao Yai hotel offers a romantic, peaceful escape only two and a half hours from Bangkok. 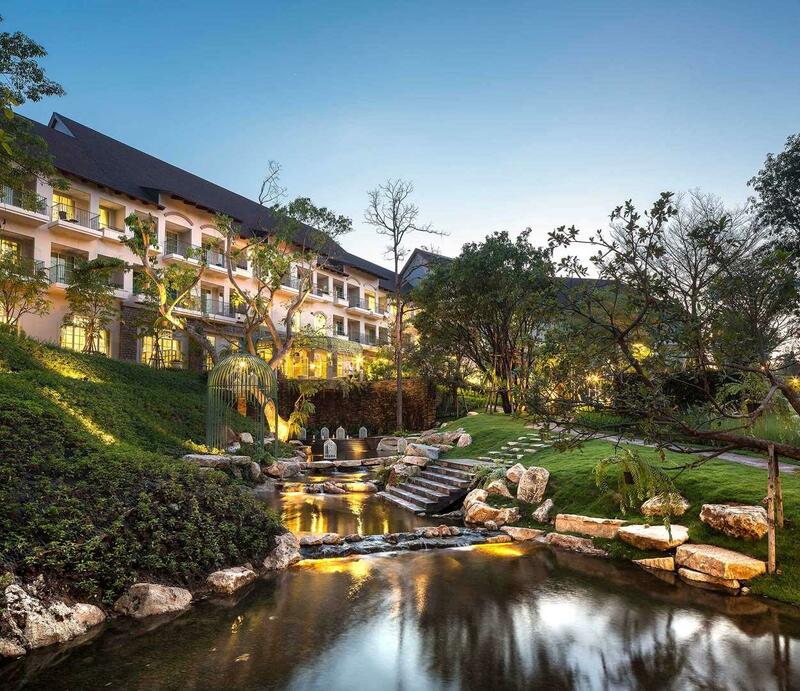 Enjoy an unforgettable getaway at our beautifully landscaped resort and spa, where lush gardens, serene ponds, magnificent scenery and eclectic interior design set this unique destination among the best new hotels in Khao Yai. 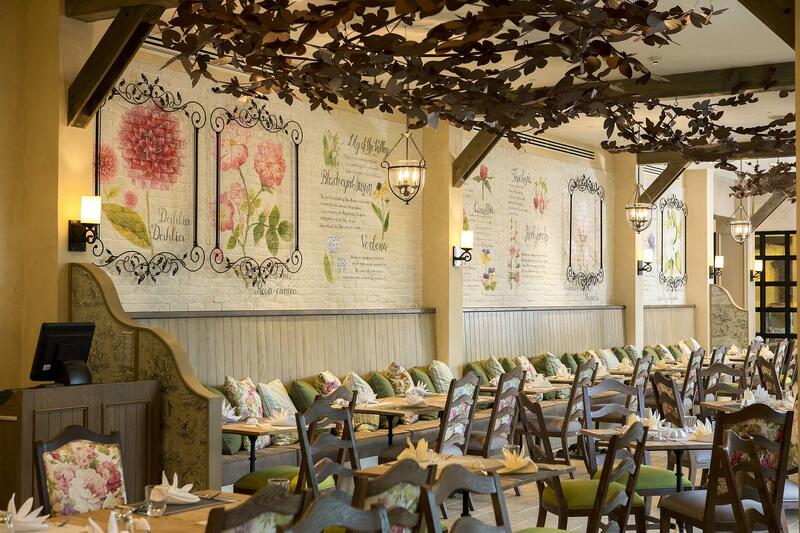 All 63 rooms and suites at our boutique resort feature luxury amenities and French country-inspired décor. With superb amenities, including a large free form swimming pool, indulgent spa and wellness facilities as well as an enchanting French brasserie, U Khao Yai promises to be the perfect place to unwind in the peace and tranquillity of the Thai countryside. 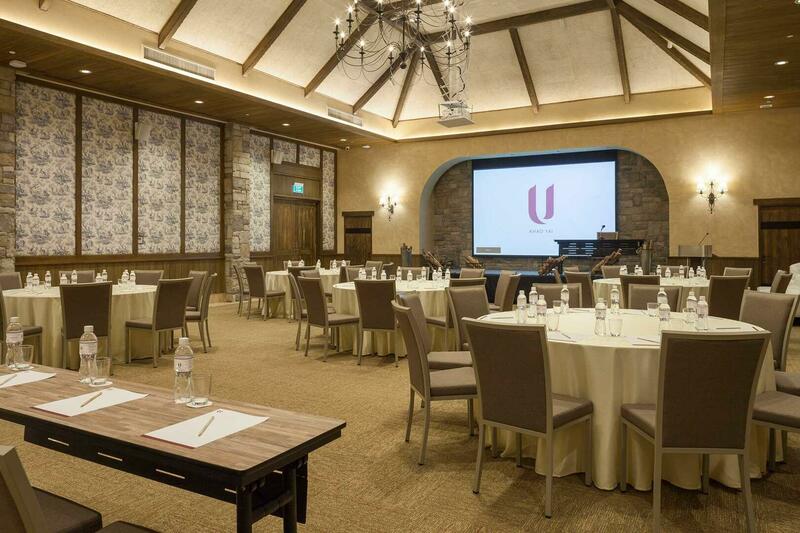 Enjoy U Hotels & Resorts’ one-of-a-kind service concept, including an unrestricted check-in time policy that allows you to check in at your convenience and stay in your room for 24 hours. 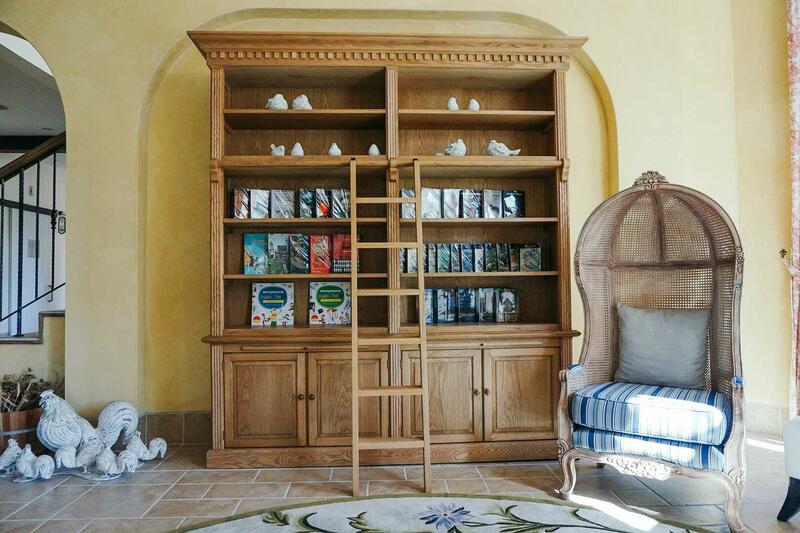 Additional features include complimentary breakfast whenever/wherever during your stay and a specialized U Choose Menu that allows you to select your preference of in-room pillows, soaps and teas prior to arrival. 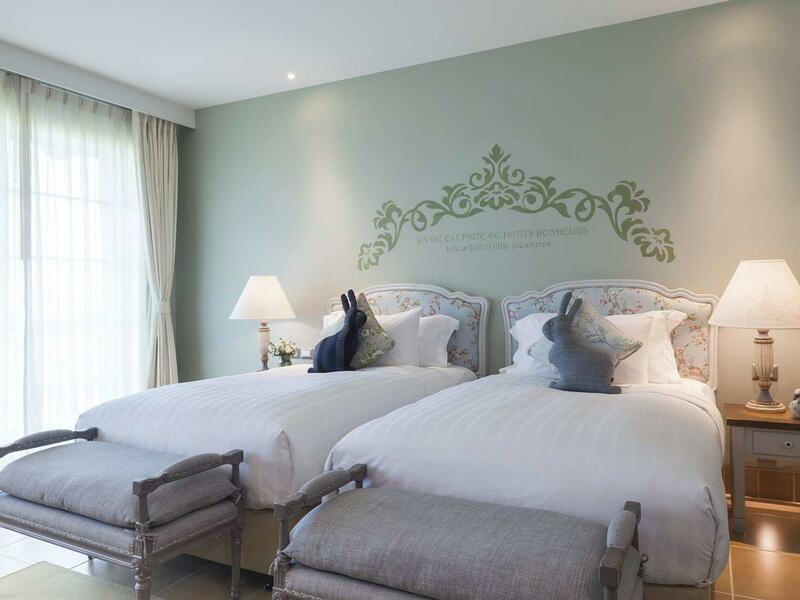 When planning where to stay in Khao Yai, discover a warm, welcoming new destination that is all about you: U Khao Yai. 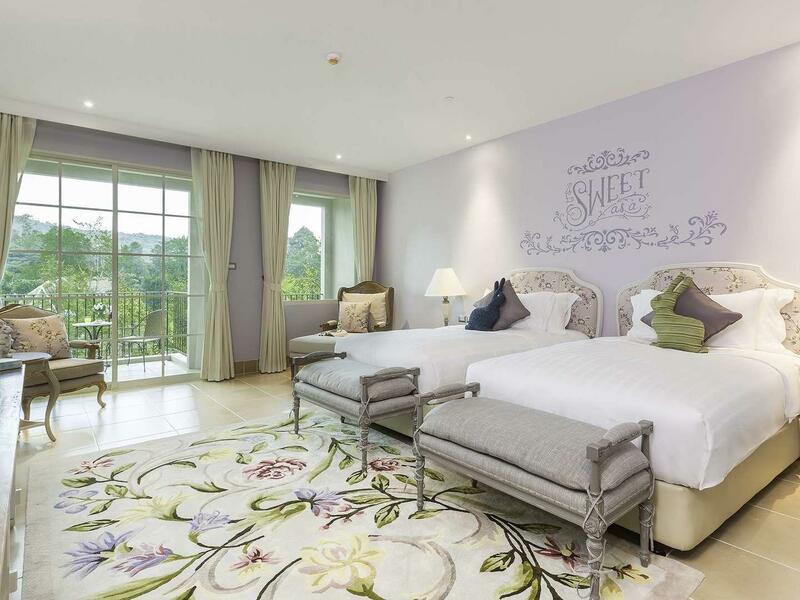 U Khao Yai offers 63 elegant hotel rooms and suites for a relaxing getaway near Khao Yai National Park, Thailand. 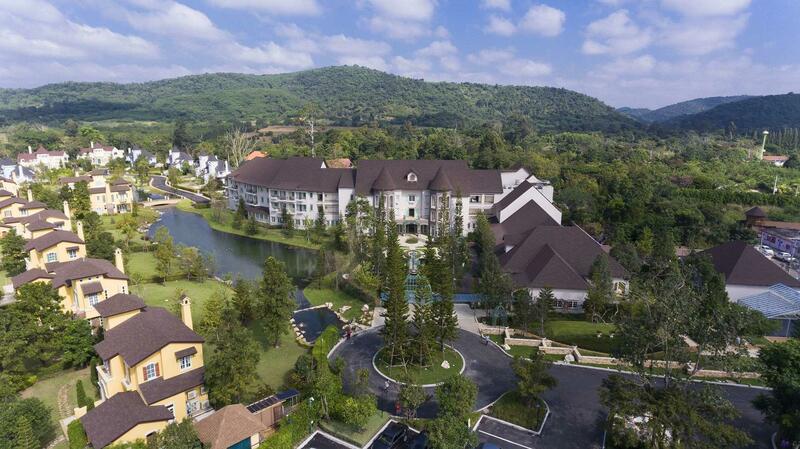 Discover where to stay in Khao Yai now! 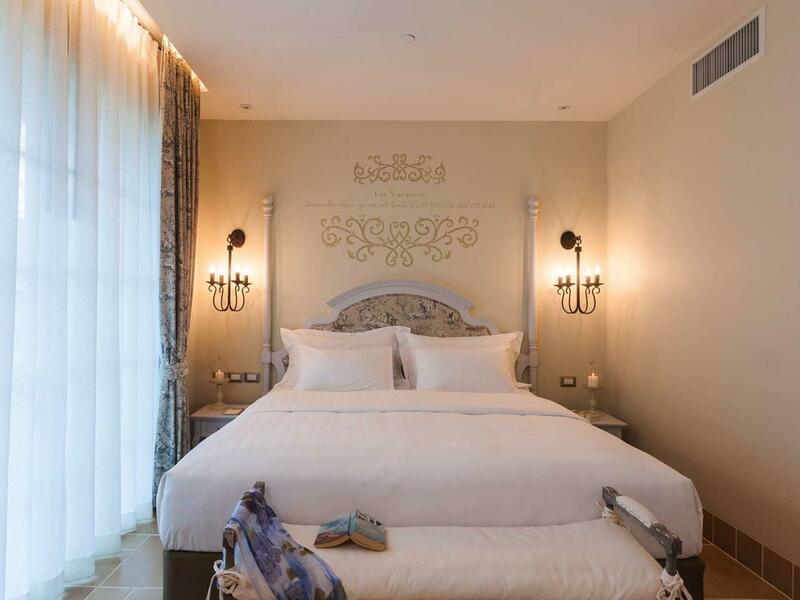 The rooms are designed in pale green color schemes with sofa benches and views of the lush tropical gardens. Our elegant Deluxe Rooms offer every luxury amenity required for a relaxing stay. These rooms are spacious and designed in light purple color schemes with a daybed. Our spacious Suites offer every luxury amenity required for a relaxing stay in our family friendly resort. All suites are spacious with separate living and dining areas. 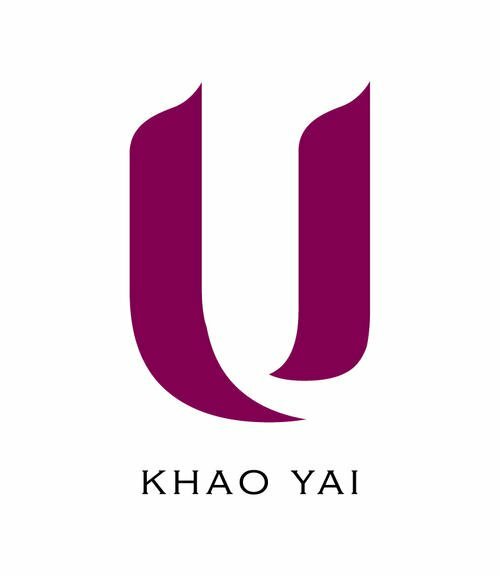 Enjoy a memorable fine dining experience in truly unforgettable surroundings at U Khao Yai. Featuring delightful restaurants influenced by Thai, French and Western cuisines, our luxury resort has the ideal restaurant for diners seeking creative delicacies in a unique and relaxing setting. Feast on enticing Thai specialties and comfort food at Papillon or unwind with cocktails and light fare in the French-style intimacy of the Lobby Lounge. Discover where to eat when you visit Khao Yai. 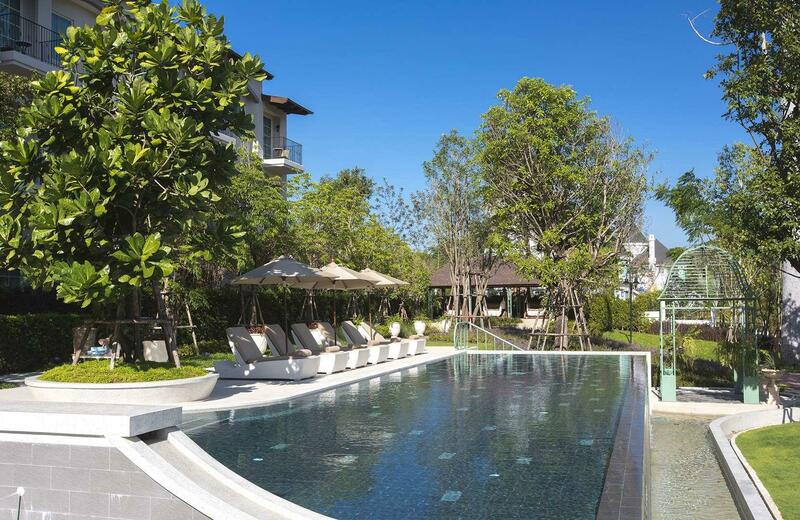 Discover a peaceful, romantic resort and spa just moments from Khao Yai National Park. 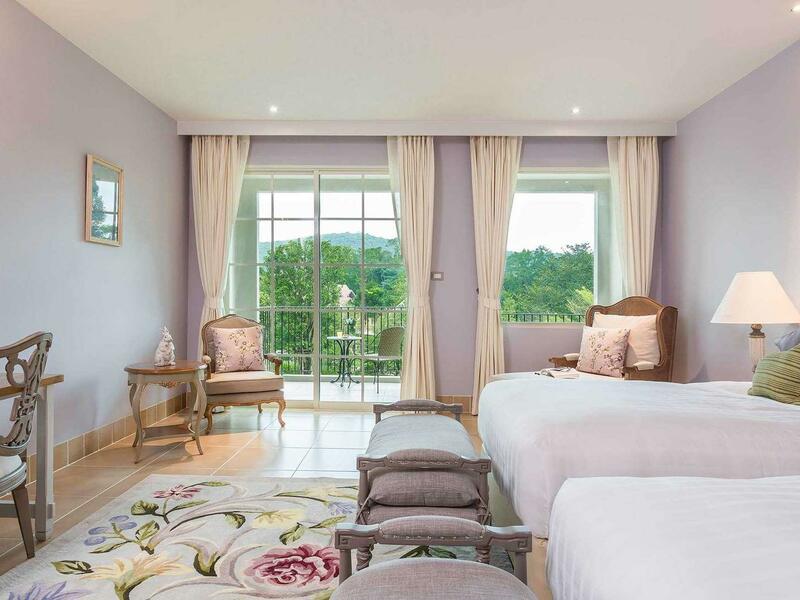 At U Khao Yai, the spirit of nature beckons, welcoming you to behold the majestic mountain surroundings and relax in the luxury of one of the best hotels in Khao Yai. Enjoy exciting hotel deals and day tour packages when you book direct with U Khao Yai, Make the most out of your trip with our Khao Yai offers! Book now!